The wreckage of the UH-1 “Huey” was found Friday following days of intense searching in the mountains northeast of Kathmandu, Nepal’s capital. The first three charred bodies were retrieved Friday by Nepalese and U.S. military teams, and the rest were found Saturday. Nepal’s army identified its soldiers as Tapendra Rawal and Basanta Titara, and said all eight bodies have been flown to Kathmandu. The U.S. relief mission was deployed after a magnitude-7.8 earthquake hit Nepal on April 25, killing more than 8,200 people. A magnitude-7.3 quake struck the country on Tuesday, killing at least 117 people and injuring about 2,800. The helicopter went missing Tuesday while delivering rice and tarps in Charikot, the area worst hit by that day’s quake. It had dropped off supplies in one location and was en route to a second site when contact was lost. The cause of the crash has not been determined. 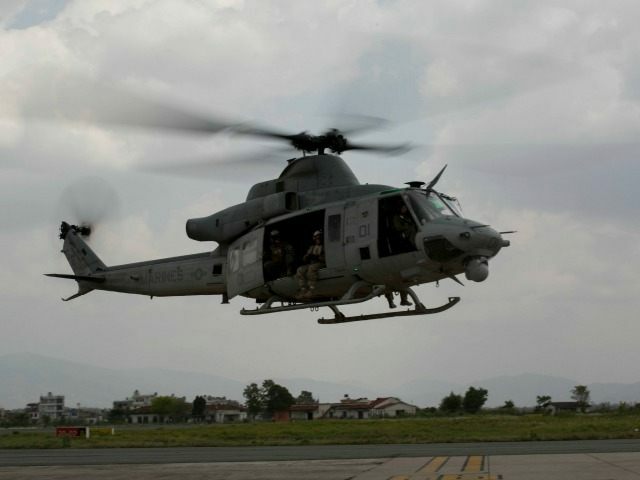 U.S. military officials have said that an Indian helicopter in the air nearby heard radio chatter from the Huey aircraft about a possible fuel problem.